Hamster Club received and gladly accepted an invitation from Ms Sonia Young, (who produces a weekly animal phone-in programme on Radio RTK) to discuss issues about hamsters, on her programme named �L-ANNIMALI U L-AMBJENT�. This programme will be aired on Wednesday 26th August 2009 at 12.15. 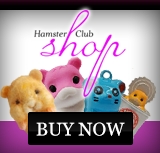 Nadia Vella (author of 'Hamster Club Guide Book') will be present to give out hamster advice. A repetition of the above mentioned programme about hamsters, will also be aired on 1st September 2009 at 20.15. Radio RTK is one of the popular radio stations here in Malta. It is transmitted on this frequency: 103mhz FM Stereo and / or on 97.6mhz FM in Malta while on 97.8mhz FM in Gozo. We encourage all hamster lovers especially Maltese hamster enthusiasts to listen to the above programme on Wednesday 26th August 2009 at 12.15. 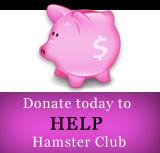 It will be full of interesting information about pet hamsters!